I know, in my last post I dangled out kitchen tips and organizing projects and such. And I meant it, I really did. I began the process of redecorating and reorganizing our kitchen, working out these winter soft arms, bulking up my stamina, and making a genuine mess of the house. Lured away from my diligent project by the siren call of Spring! 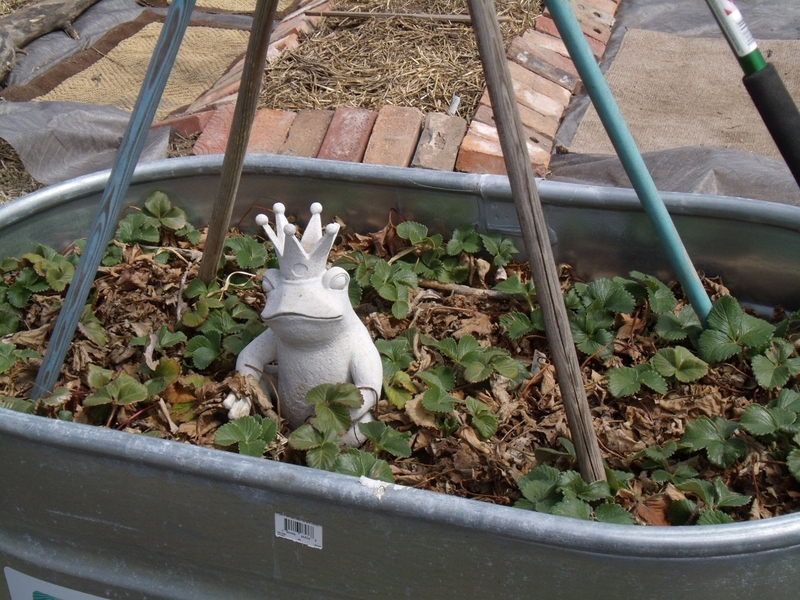 This is the garden bed that was put to rest last season. 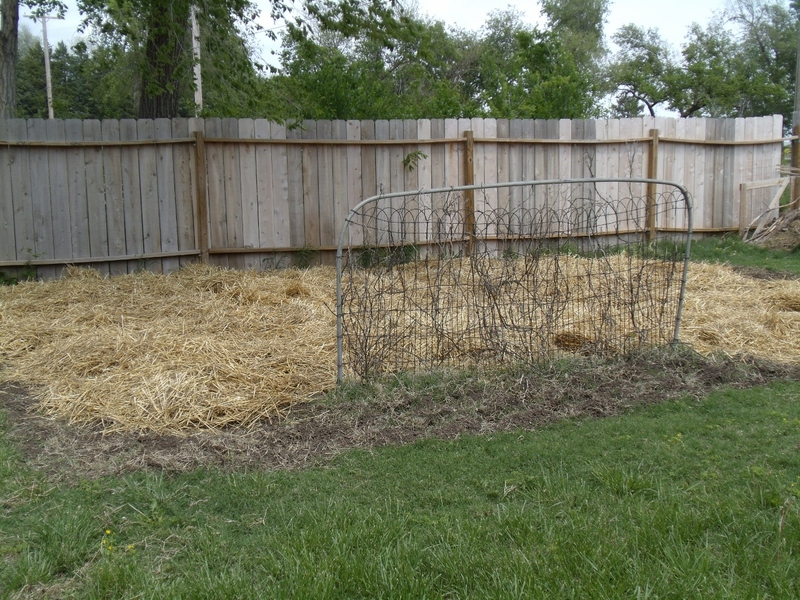 Covered with hay, it lay dormant through 2012. Then last month, Hubby said he wanted to till. 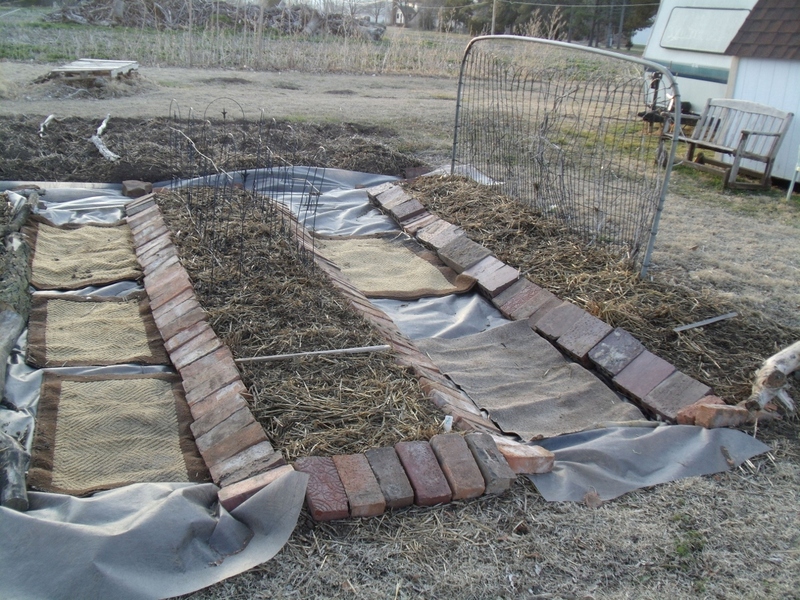 Well, add a few warm days post till, and here’s what a Dreamin’ Girl will do with opportunity – make garden beds! 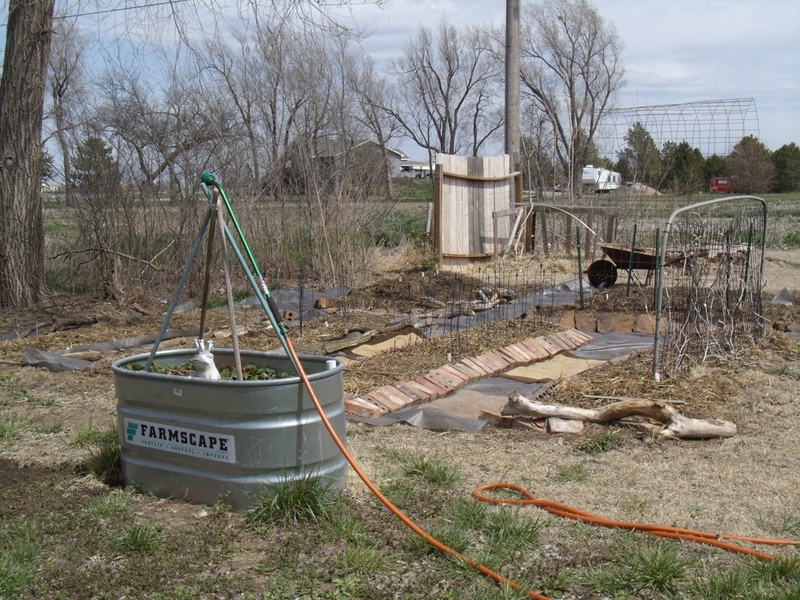 To accomplish this, I tooth-raked the tilled soil up into the bed structures, leaving the cleared paths in their wake. 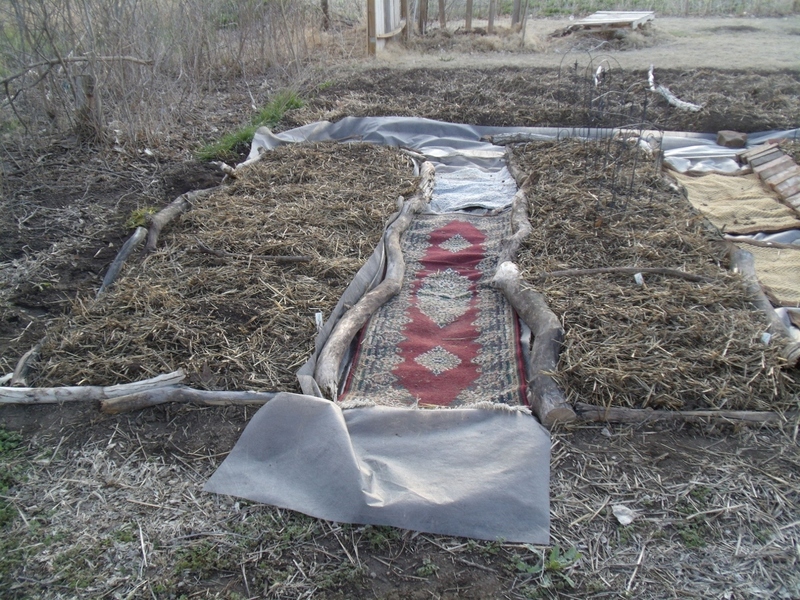 Next, I rolled out and cut lengths of landscape cloth to line the paths, then threw discarded rugs over the top of the landscape cloth. 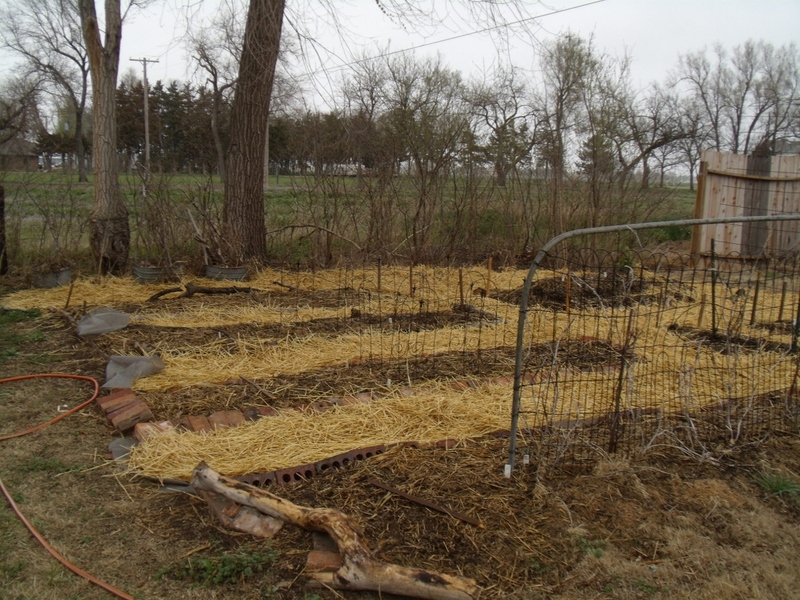 I rummaged through our various material piles to line the beds with bricks and limbs and stones. This was a lot of work, but I was feeling pretty stoked about finally having a few permanent garden beds to be able to intersperse perennials. 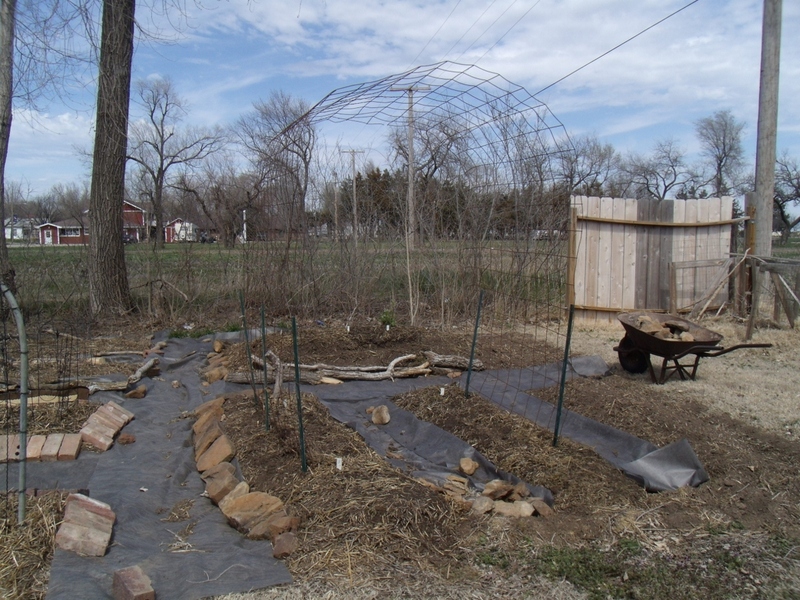 The remaining garden plot was going to be similarly plotted, with larger areas to grow cantaloupe and pumpkins. The bed is dug down about a foot in the center, with the internal trench being about two foot wide. 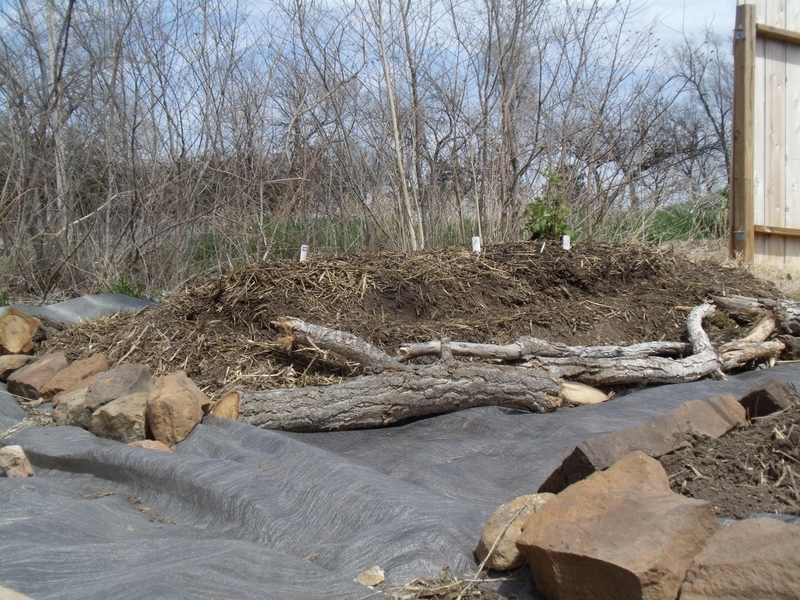 The neighboring lot had a pile of rotting cottonwood logs, which were piled into the bed. The sides were also trenched in about six inches deep to provide irrigation, then the branches were placed over to spare ankles and such. I patted down the entire mound to tamp the soil, then created terraces for planting. This will come in quite handy for planting pole beans. The inward soil is already prepped with spinach seed. 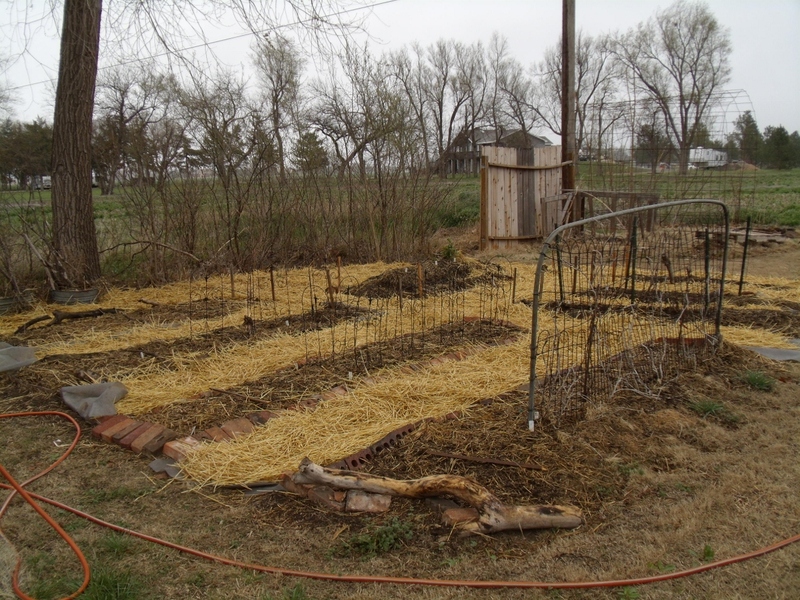 Here’s the view of the prepped beds, with cold crops added: grape vines, raspberry bush, blueberry bush, hyssop and poppy seed, lettuce, spinach, swiss chard, kale, beets, sugar snap peas, shelling peas, carrots, radish, onion seed and garlic. And the view after the hay was added to line the paths. It’s beginning to look a lot like a garden! And it comes with a bit of whimsy. 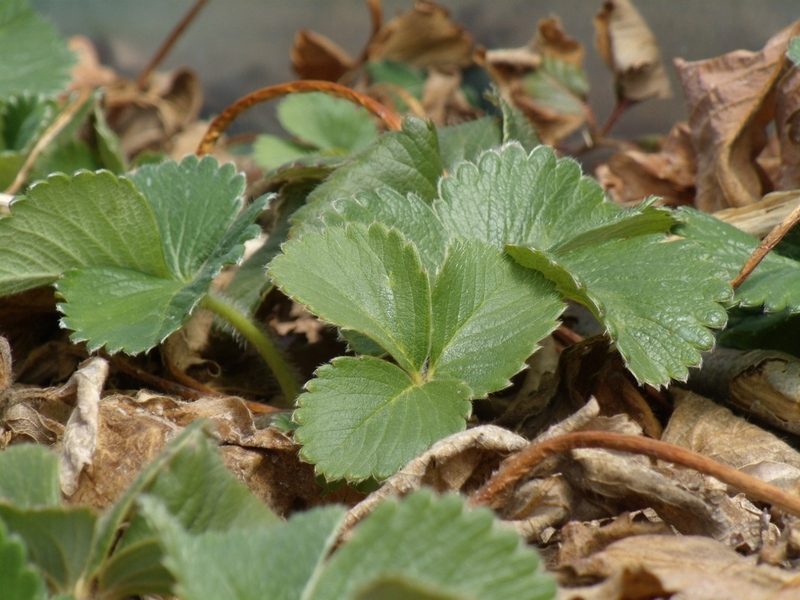 The strawberry plants survived the neglect and the drought in the water trough planter. I finally added water to the reservoir just last week. The plants were using only the moisture that winter provided. How are your garden plans?